Coastal Portraits will create your family portrait in my studio or at your favorite location. You can select from many options for your session including the Classic Family Bond portraits in Black and White. If you need a photographer for your reunion, Marine Birthday Ball, or group portraits, Coastal Portraits would love to hear from you. If your need is a professional headshot for website or business use, Coastal Portraits has a full service studio located minutes from New Bern. 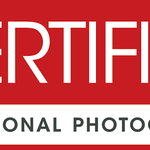 Coastal Portraits has a full service studio located just outside of New Bern, NC, where your portrait can be created. The studio is located in my back yard and you will have a choice between having your portrait made inside or out. The studio has a large porch with 2 swings to accommodate morning or afternoon light. There is a spacious dressing room and a studio large enough for large family groups. I offer print choices from paper to giclee to canvas to metal. I have a variety of frames, new and used, in stock plus plenty of frame choices to select from. After ordering the prints you have other items that are available such as coffee mugs and key chains. There are also jewelry and photo bags that are available along with photo books and calendars. As a full service studio the choices are unlimited. For your studio session you can choose between a 30 minute mini session for business headshots, or a regular session. For a regular session clothing changes are not limited nor is the time in the session. I like to shoot until I feel like we have the image you will love. If you prefer a location session or are looking for a small event to be photographed, such as a birthday party or anniversary celebration, I normally bring an assistant and will cater the session to your wishes. For a small event session you will always receive a CD of edited images which means the images are sized and corrected. These images are not retouched unless it is obvious it is needed, such as an injury that was temporary. I also post the images on an online gallery so you can share with friends and family and they can order from the gallery. For a business session (head shot) you can bring some changes of clothing as needed and the image can be taken either in my studio or on the studio porch. Location business sessions are also available. You will receive a digital copy of the image you choose in the format requested (the type of digital file). The image will be edited and retouched. I also offer political candidate sessions with a US flag. For a family session we will determine the best location and clothing and take it from there. I have a special family bond session that is available in which all images are black and white. This can be included with your session at no additional cost. Master Photographer Mona Sadler loves to photograph pets and their people. A fully air conditioned studio provides a great location for your pet to relax for their portrait. Her studio uses either a flash or "flashless" system depending on your pet's needs. Location sessions are available so call today, 252-675-1146. For your studio session with your pet, or just your pet alone, clothing changes are not limited nor is the time in the session. I like to shoot until I feel like we have the image you will love. If you prefer a location session we will determine the best location and clothing and take it from there. I have a special family bond session that is available in which all images are black and white. This can be included with your session at no additional cost. For a pet session your pet should be grooms no less than 4 days before the session. On the day of the session you should walk your pet for about an hour and provide plenty of water before you come to the studio. I try to not use treats or water in order to keep the fur around the mouth clean and dry. You can bring pet outfits and favorite toys. These should be kept hidden to keep your pet calm. I use them only if they are needed or if you want them in the image. If you are going to be in the image with your pet please wear clothing that compliments your pet's fur color which means wear beige, brown, black, ivory, etc. We will review all of this in the pre-session consultation. The session with your pet normally lasts no more than an hour. Pets wear out fast so I try to get the session goals completed quickly. I try to provide a great experience as part of the studio session as well as produce some great images that you will love. Coastal Portraits has custom order artwork for sale. Master Artist Mona Sadler can use your photograph to create a digitally painted image. There is also an option for quick turnaround portraits. For more information and a quote, call today 252-675-1146. For digital art I can photograph you or the location/object that you want in the artwork or use your photograph. If you have lost a loved one or a beloved pet and want to honor their memory with a portrait I can use a photo to create a portrait or a combination of photos if needed. I also have a selection of flowers, birds, and scenes that are available for purchase. You can contact me for a price quote of your desired artwork size.